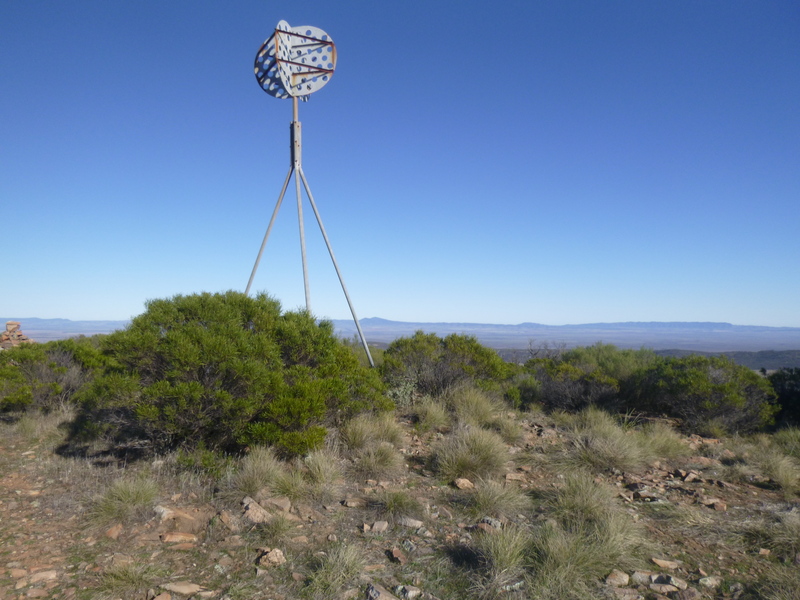 Ian VK5IS and Ian VK5CZ met at Hallett early on Saturday morning so we could get to Mount Bryan SOTA summit before UTC rollover and give the chasers double points for the activation. The land management has changed for this summit if you want to use the access track to Mount Bryan as the gate is locked these days. Farmer Tony was very helpful to me over the last three years that I have been driving to this summit and always gave me access to the key to unlock the gate. Not sure what the new arrangement is going to be about access as Tony’s lease has expired and the original owners have taken charge of the property again. 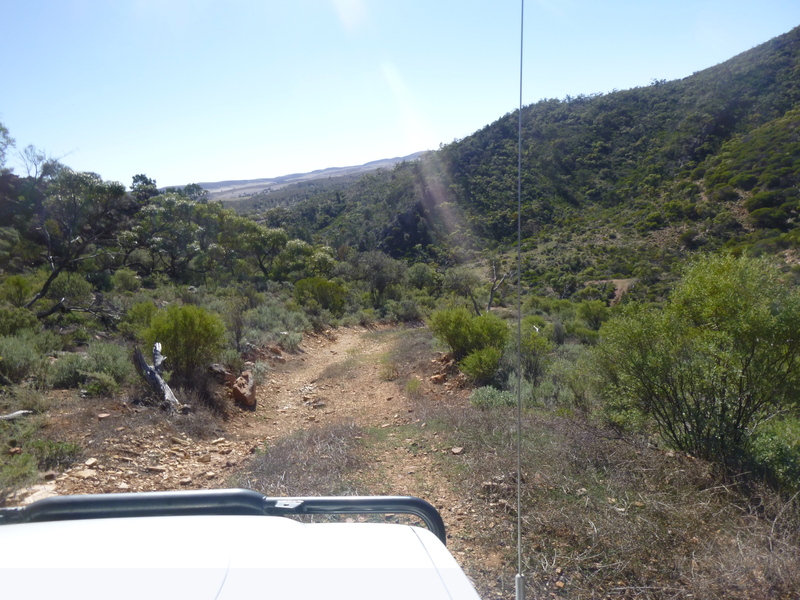 The summit can still be accessed via the Heysen trail but it means about 1 hour hike to reach the summit which I will still do if need be, its just nice to have a drive up summit every now and then. We reached the summit in good time and the weather was really nice sunny and calm with a bit of a chilly breeze at times. 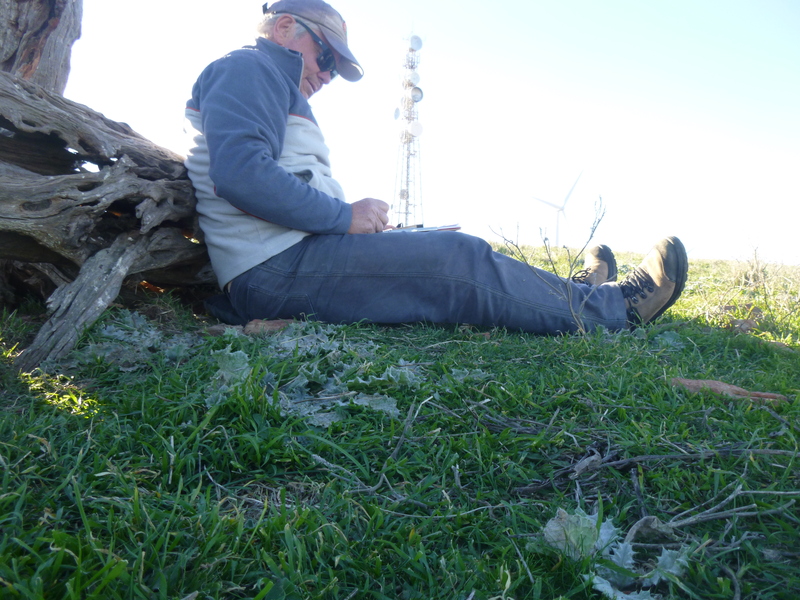 Ian took a rest in the Kings Throne at the trig point after our short hike to the top then it was on with setting up the antennas. 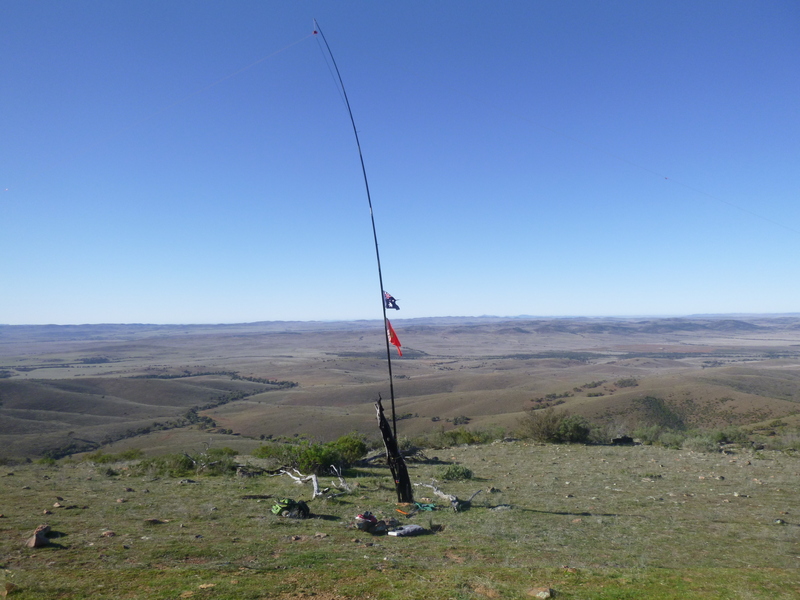 We started on 80m to work the locals first and Ian qualified the summit on 80m ssb first up before UTC roll over then gave out some contacts on 40m ssb as well after roll over. 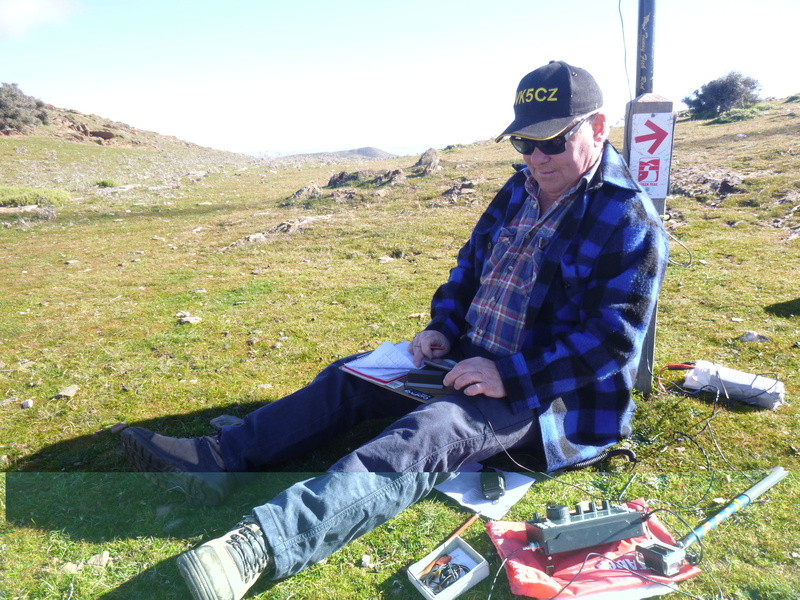 Ian VK5IS hard at work on 40m ssb with a nice pile up running and he managed a couple S2S as well with Hugh VK5NHG who was on Lagoon Hill at the same time. 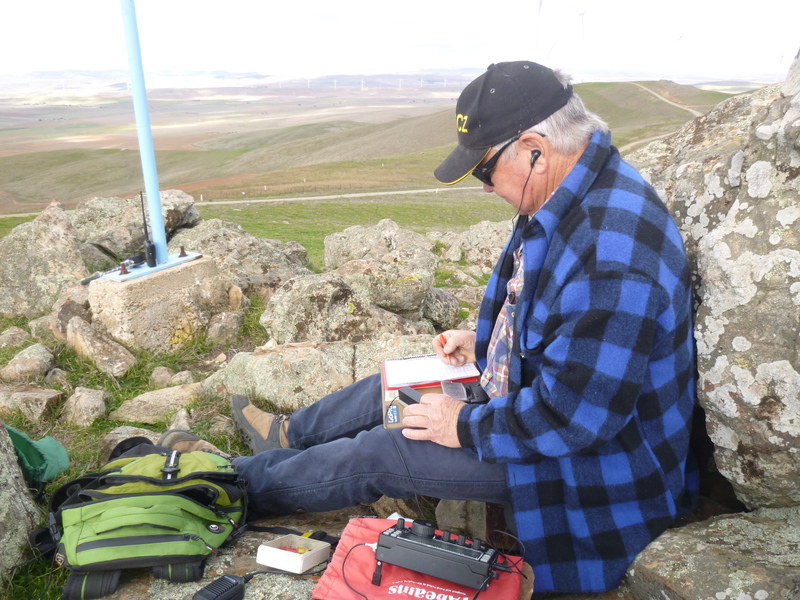 We both made a S2S QSO with Hugh on the 2 m hand held probably over a 40 km distance, we had good line of site and could see Lagoon Hill off in the distance. One of my Favourite views from the top is looking out east, you can see the curvature of the earth. VK5CZ took a turn to work some cw chasers with great contacts around VK and ZL again on 40 m cw. 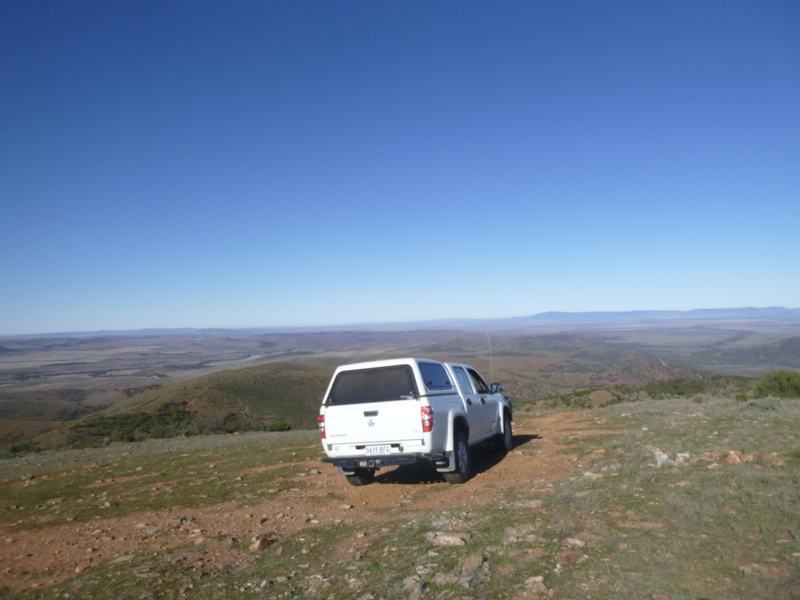 This summit well and truly activated we packed up and headed to Brown Hill Range summit. 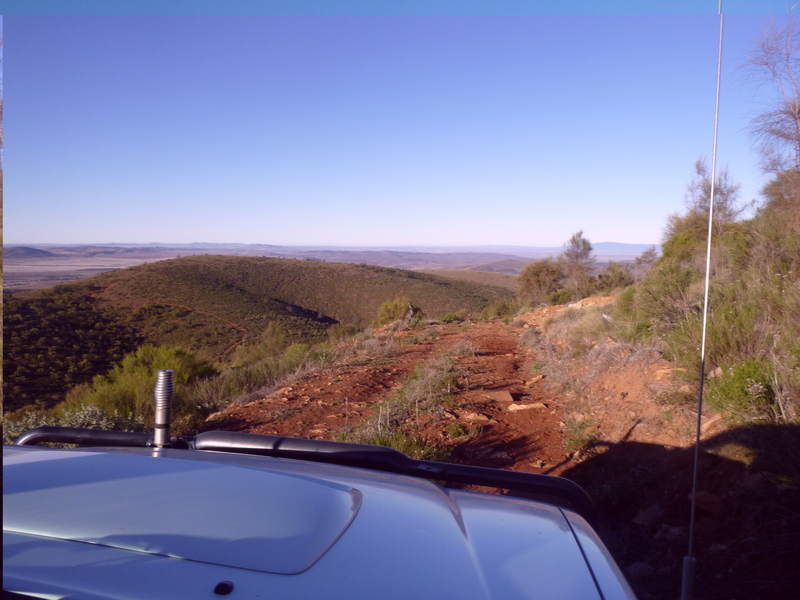 This summit is another of the drive ups that we can do north of Booborowie on Brown Hill Range, this is also private property so permission is required. Ian VK5IS among the chasers again this time on 40m ssb and his first S2S with VK3BYD on cw, he also had a QSO with ZL1BYZ and ZL1WA on 20 m ssb. 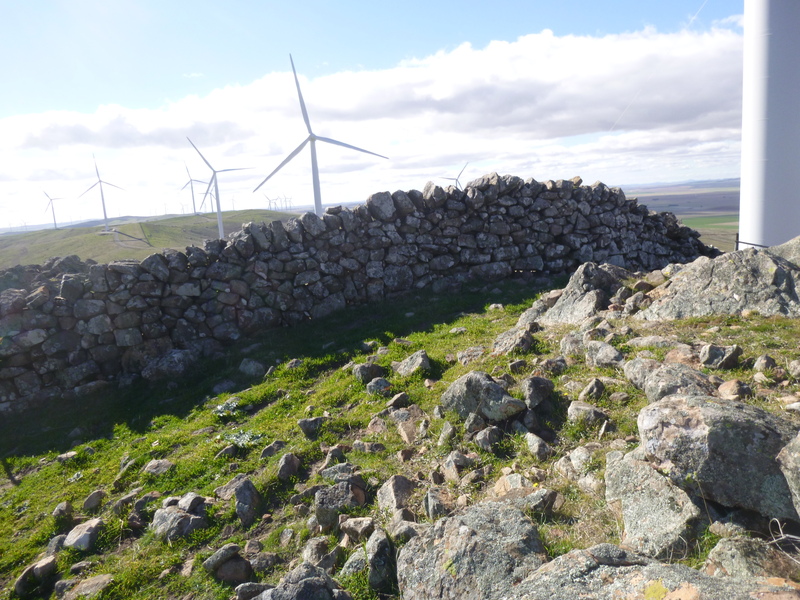 A great view to the north if you like wind turbines and a 100 year old very well built stone wall . The shack for the afternoon right at the trig point. 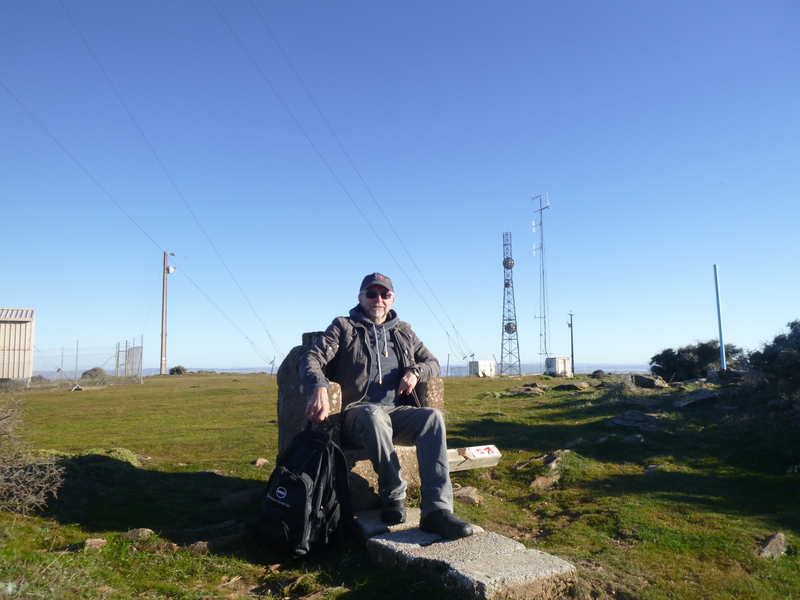 Ian VK5CZ among the chasers on 40 m CW with good contacts around VK ZL and an extra surprise call from EA8TL from Spain later in the afternoon on 20 m cw. 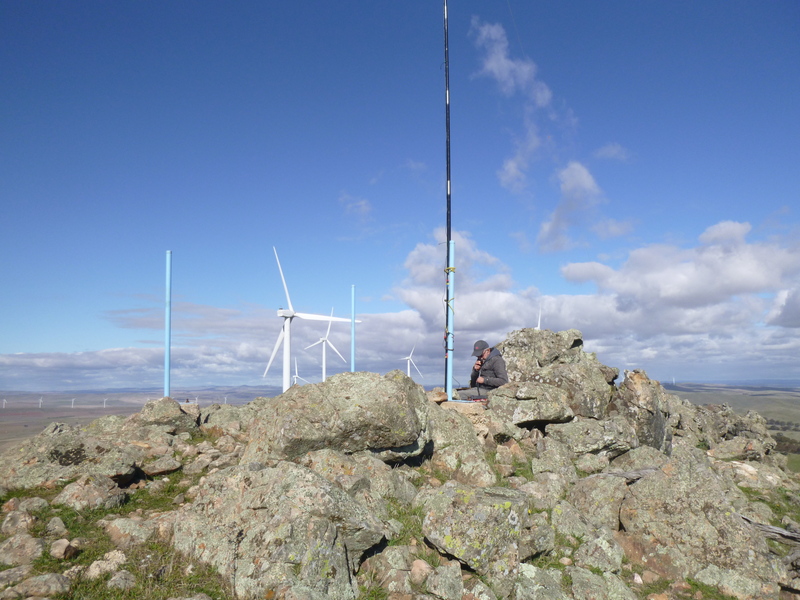 Needed the ear buds on this summit as the wind generator is right near the summit and was turning rather fast in the stiff breeze at the time. 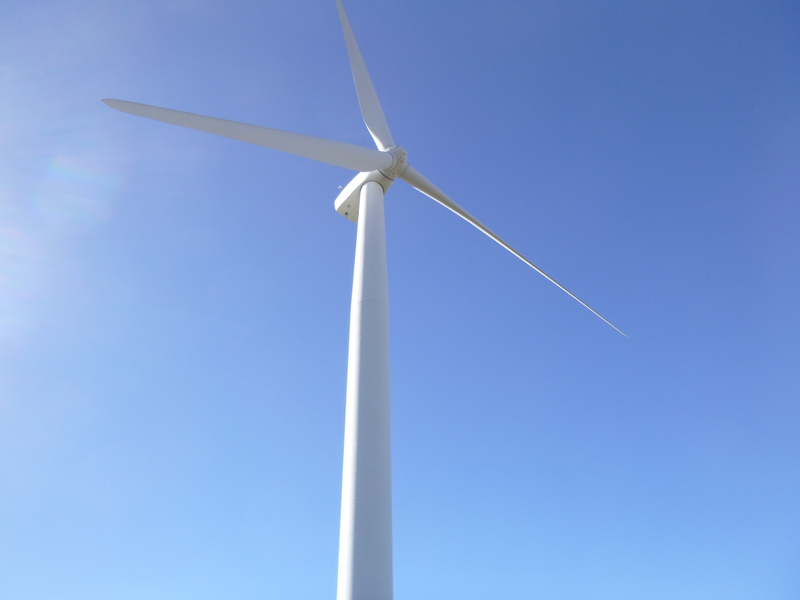 These things are quite a sight and sound show when spinning around in a strong wind . We had a great day out on the summits with nice weather and lots of chasers . 73 from the two Ian’s and thanks to all the chasers and land owners. 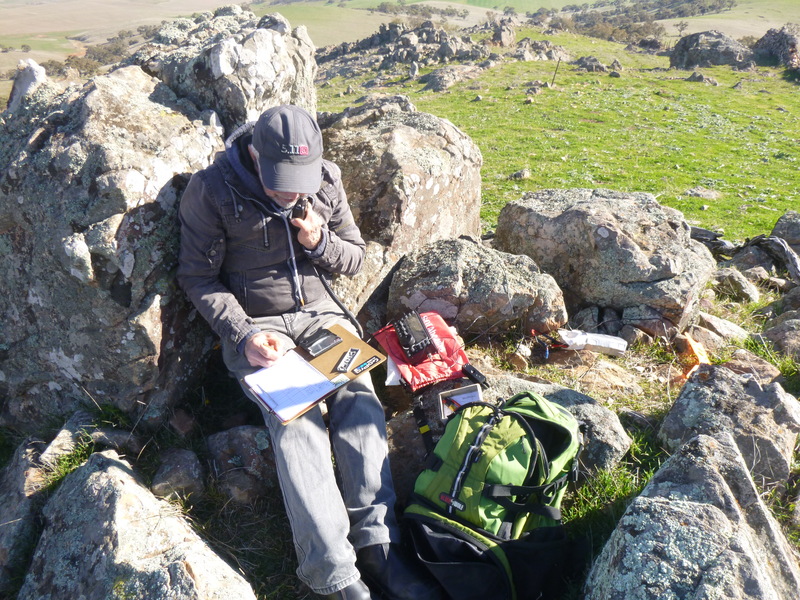 The plan to go to Mt Arden this weekend to do some repeater repairs was called off until next week so I decided to do some closer in summits. 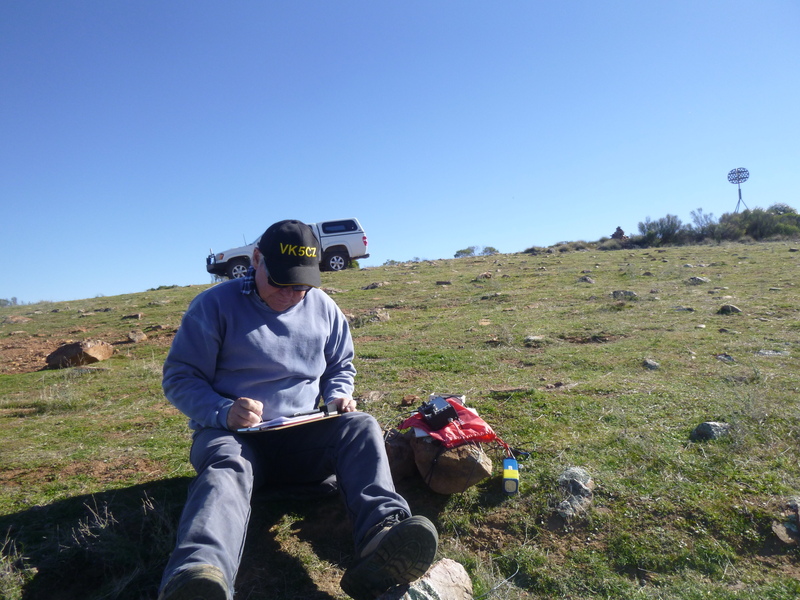 I still managed to drive 220 kilometres on Saturday visiting Lagoon Hill vk5/se-008 in the Tothill Ranges then drive out west to Illawarra Hill vk5/se-014 for the afternoon activation. 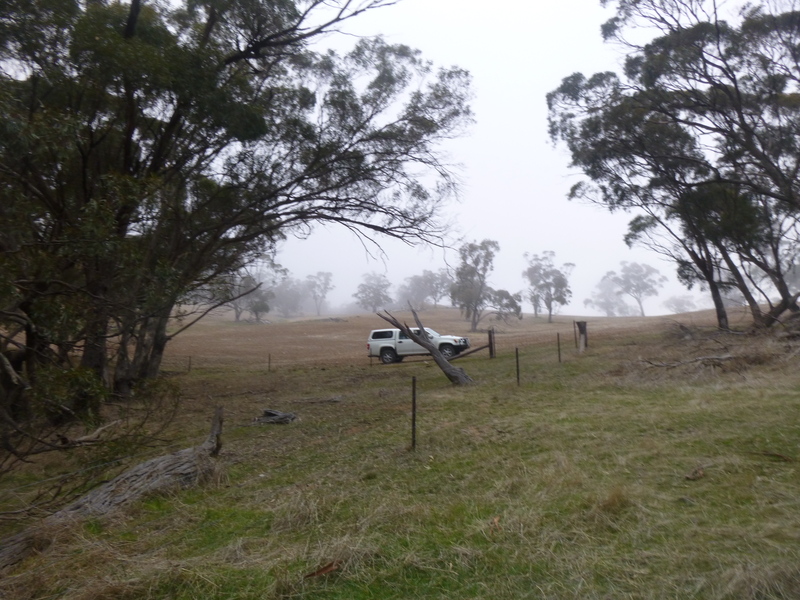 When I arrived at Lagoon Hill, farmer Jeff gave permission to drive a bit closer than I normally do around the edge of his cropping paddock which was only sown on Friday and was a long way from sprouting. 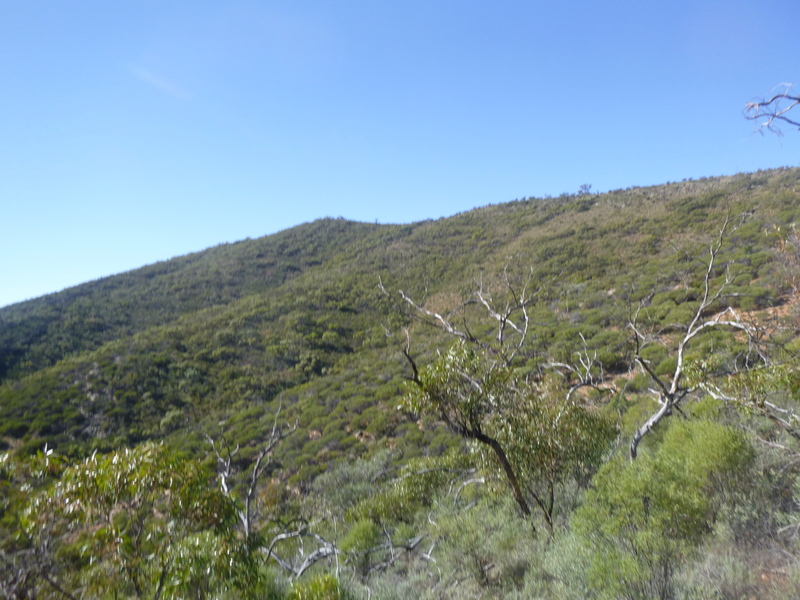 This makes it about a 2 km hike up and back with a hat on backwards climb up through the rocks and Yacka bushes that grow on this really steep slope. SOTA transporter parked I follow this fence line to the “marked public easement” which consists of two large stones. 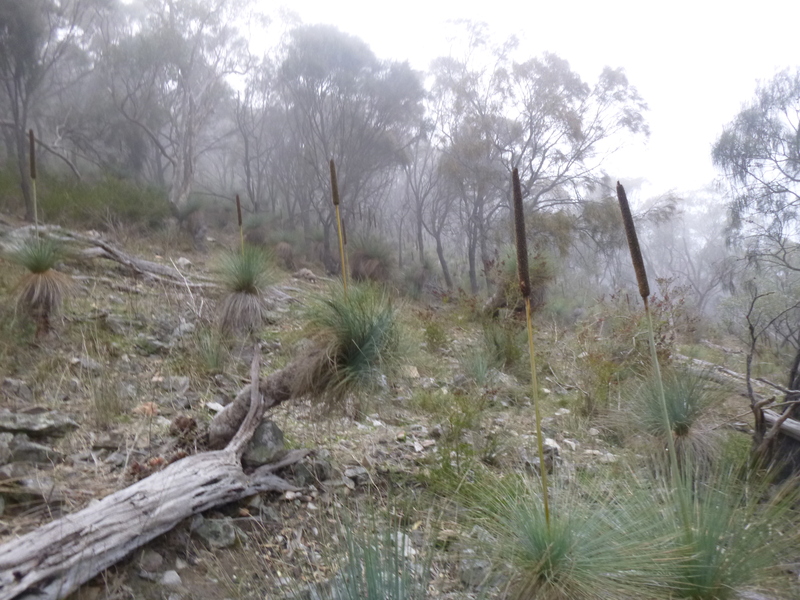 How ever I have to comply with this land owners wishes that is a private conservation group who are the owners of a lot of land in the Tothill Ranges. 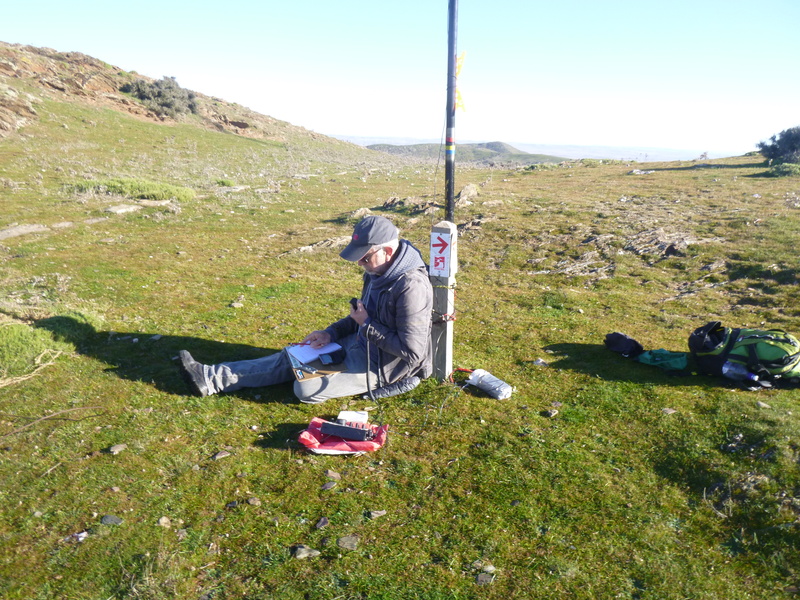 The trig point and easement to the summit is not owned by them and the public access easement is still open to the trig point. Bit political but it gives me access to an other wise access denied summit and they are happy for me to go there if I follow the rules. The easement being a line on a map does not mean it is the easiest path to the top thus the hard slog straight up the side of the hill but nothing I can’t handle. Very foggy but no rain made it a nice cool morning for the hike to the top . 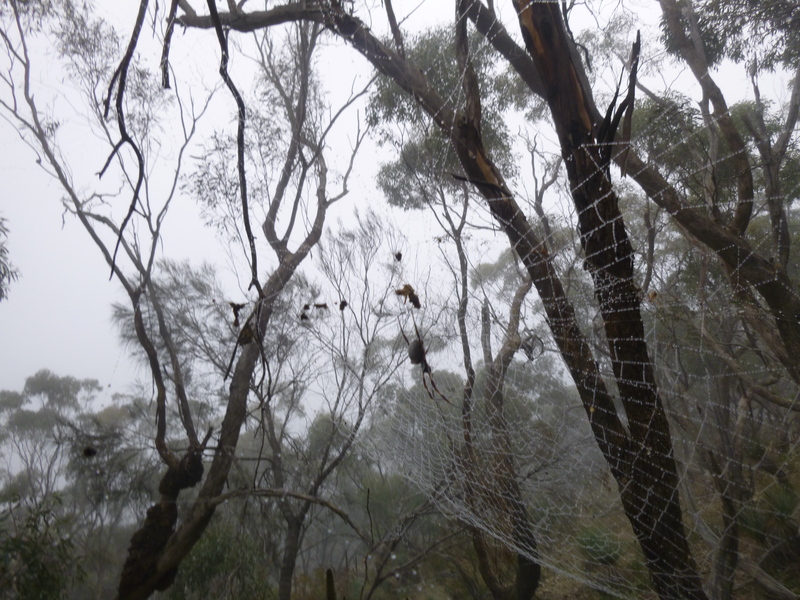 Nearly walked into this spider web up in the trees . 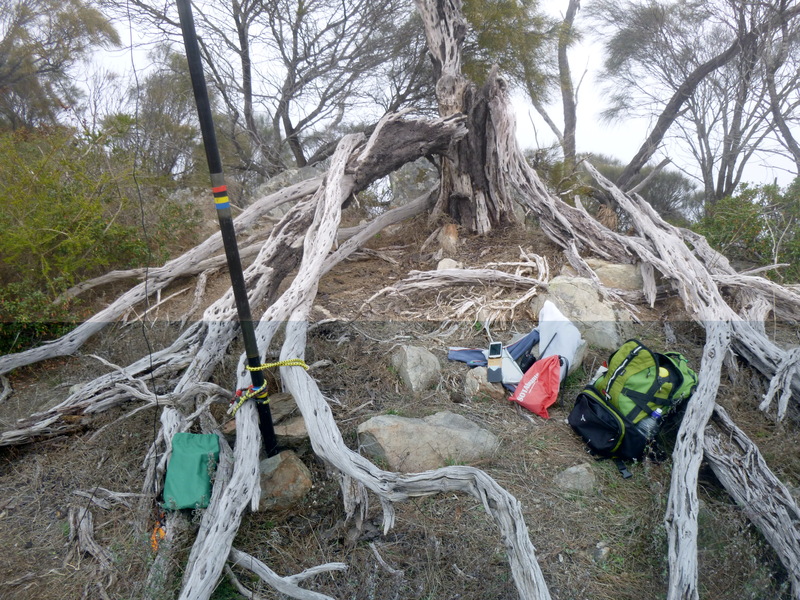 This is the clearest spot to set up although my antenna with the 80m extensions still run out across the bushes. No problems to make contacts with it . My shack, KX3 and 20/40 link dipole with extensions for 80m. So after working the locals on 80m ssb I worked some vk2 and vk3 chasers on 40m ssb, I found Paul and Marija up the band in a conservation park VKFF 1690 and had a contact with them. VK7CW was my first QSO on 40m cw, with some other chasers from vk2 and ZL1BYZ on 15m cw and ZL3CC on 20m cw. 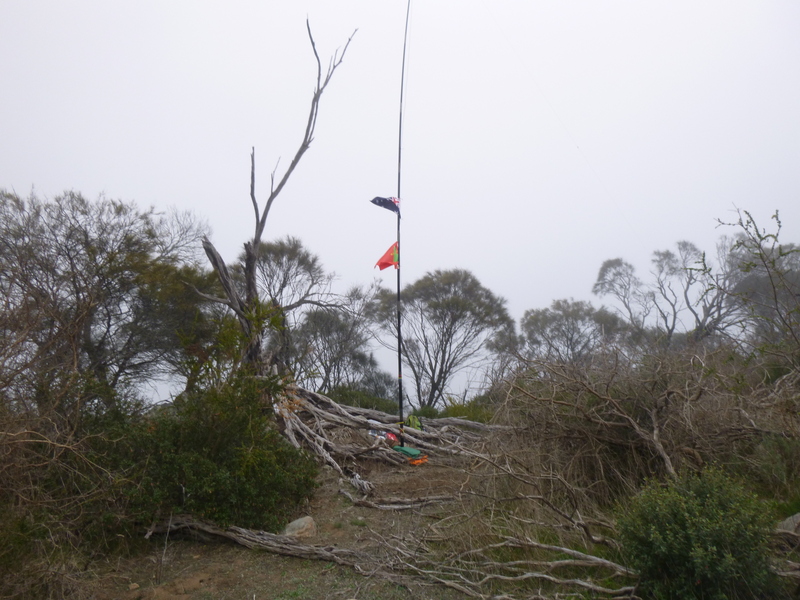 I saw some spots for a couple JA stations on 15m cw but I could not hear them so I packed up and made my way back down to head off to the next summit. This summit is only a one pointer but a score none the less taking me to 660 activating points now. Its probably 80 odd kilometres to drive between summits with some dirt roads to fill in between the major roads . 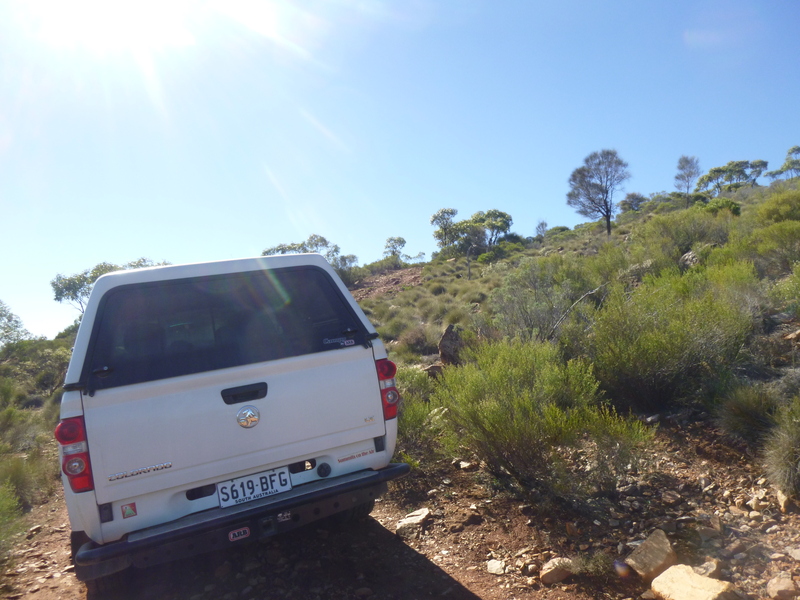 But I made it with enough time for lunch and a coffee break before the long 100m hike from the Ute. 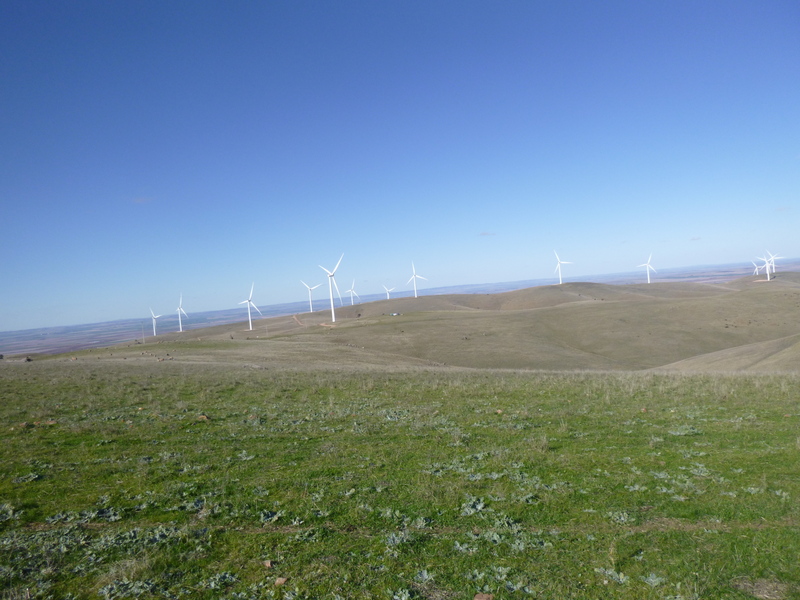 This summit has a wind farm so there is a well made road to the top of the treeless hill. Last tree standing makes for a good spot to set up. Once set up I made two QSO on 80m this time before heading to 40m ssb to find my group of faithful chasers from vk3 and vk2 ready to work me. Then vk 7 2 3 6 and ZL1 BYZ again this time on 40 m cw. Being such a nice afternoon I decided to try 30 m using my 20/40m link dipole as an OCF by unclipping one of the 40m links. The kx3 had no trouble to tune it, and at a guess the feedline loss would not be too bad as it displayed a 3 t 1 swr before tuning on the kx3. Well the results were quite good I got good reports from vk4rf, vk2io/m and zl3cc and I could hear some EU dx as well but did not work any. It was cooling off quite rapidly so a short CQ on 20m netted HB9AFI to top off a great day of activating. That’s not my antenna in the back ground. Thanks to all the chasers on both summits . 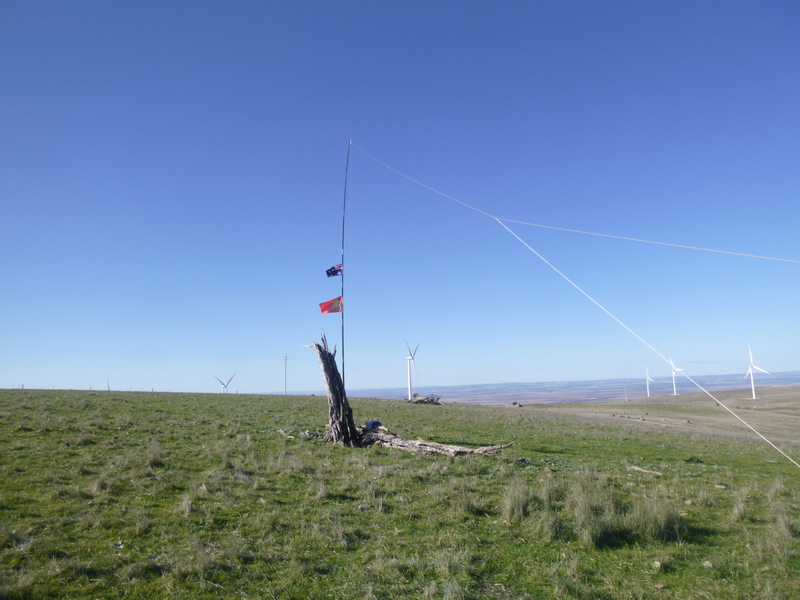 Had a chance to get to Stokes Hill VK5/NE-050 this weekend and decided to drive up from Clare this time, seeing I only had one summit to do this trip. 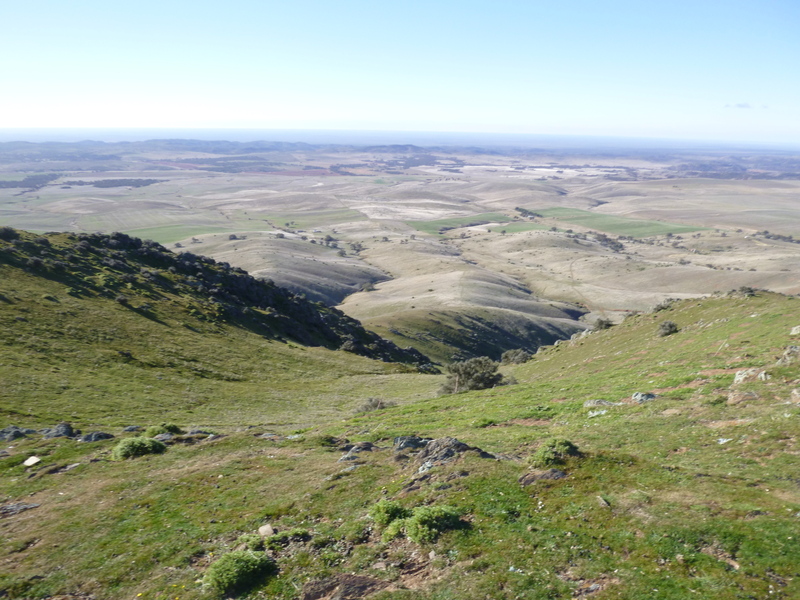 Still have some summits at Quorn but the couple left to do are big hikes and I never booked any accommodation this week, had some bills to pay and work has been a bit quiet since grape harvest ended. I hit the road at 5.00 am to make the trip and arrived at Horseshoe Range gate by 7.30 am it was very cold and word is about it was one of the heaviest frosts for many years. The main issue I was going to have was 4×4 driving up to Stokes Hill with the sun in the east making it hard for me to see the track with sun glare. 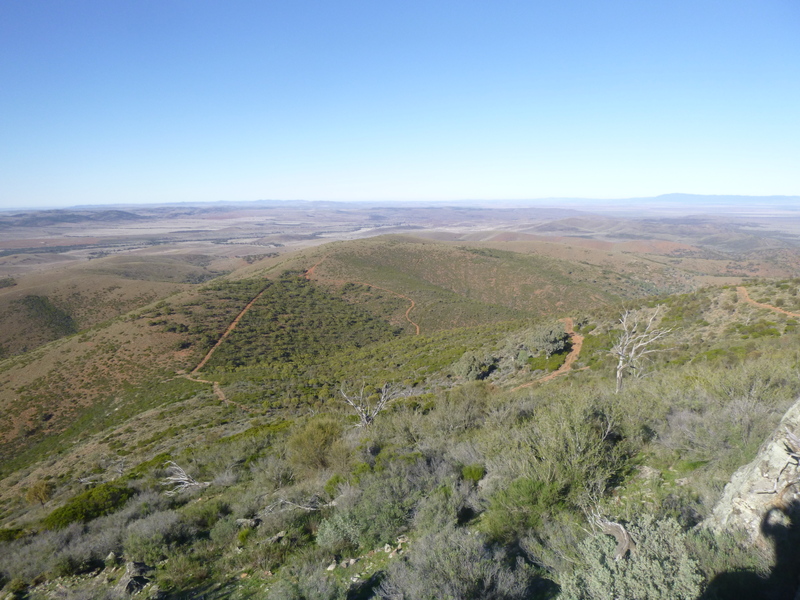 I headed up to the start of the serious 4×4 part which is close to 5 km distance to the top in low 1st or 2nd in the Colorado. 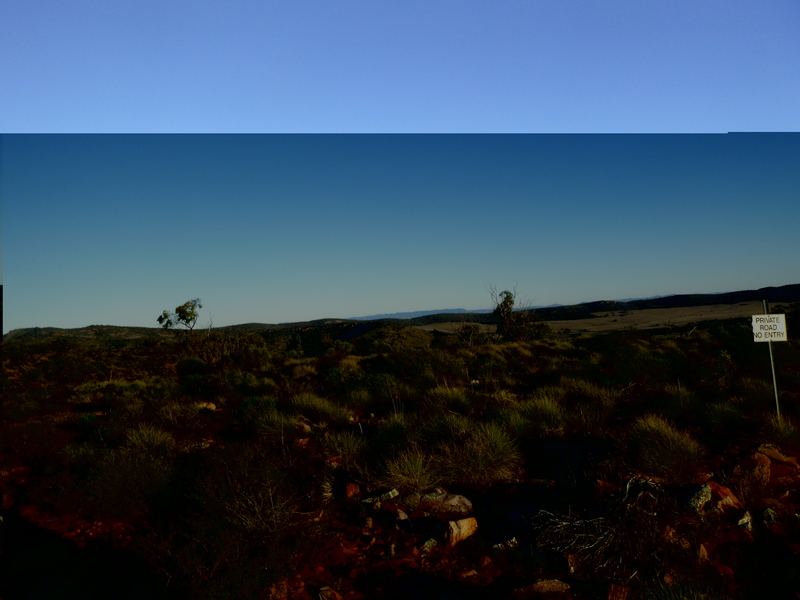 I wasted some more time lowering the air pressure in my tyres and mounting the Go Pro on the Ute to shoot some video. I headed off a little nervous as I was there by myself and totally alone for this trip, but I have done this climb before and I know my vehicle is able to do the job. Thinking hope I don’t stake a tyre or crunch underneath on a rock I did not see in the sun glare, but no need to worry just be careful and keep alert. The track was in good order really for what it is, I had to stop a couple times to shift a couple big rocks someone else had rumbled under their vehicle, It’s interesting seeing the crunch marks on rocks others have left. Made the journey in good time which took about 50 minutes to the top . Making my way along these tracks is much easier since Ben got his big bulldozer up there and improved the approach to the last hill climb, there was good traction and I have new tyres on my Ute set at 35 psi. That is the track below that I took ending up at the summit. Trig Point on this summit. Hard at work in the pile ups only 2 QSO on 3.6 mhz but made several ssb QSO on 7 mhz and several on cw as well. Got one dx to ZL1BYZ on 40 cw the rest were all vk 2 3 5 7 this time and a few repeat QSO on ssb and cw. No answer to my cq on 15m cw this time and I think band conditions are not that good but still able to qualify the summit with 18 qso’s. Thanks to all the chasers. Some of the down track was just as challenging as the up track . I came down from up there . The final decent to the flat lands and the end of the adventure with some SOTA thrown in. Thanks to Ben and Sue for access to your property.